Hailed by naturopaths as the world's most important herb, turmeric has been used for centuries to treat arthritis, diabetes, gastrointestinal complaints and dozens of other conditions. According to the University of Maryland Medical Center, preliminary scientific evidence has confirmed many of turmeric's traditional medicinal uses. Nevertheless, the U.S. National Institutes of Health note that this preliminary evidence is far from conclusive. Nutritionists and naturopathic practitioners may recommend turmeric tea as a daily supplement or complementary treatment for people who have--or are at risk of developing--certain diseases and conditions. Curcumin, a potent antioxidant found in turmeric tea, may be useful as a complementary treatment for cancer. According to the University of Maryland Medical Center (UMMC), early studies suggest that curcumin can treat prostate, breast, skin and colon cancer. However, these studies have not been conclusive; cancer should not be treated using turmeric tea alone. 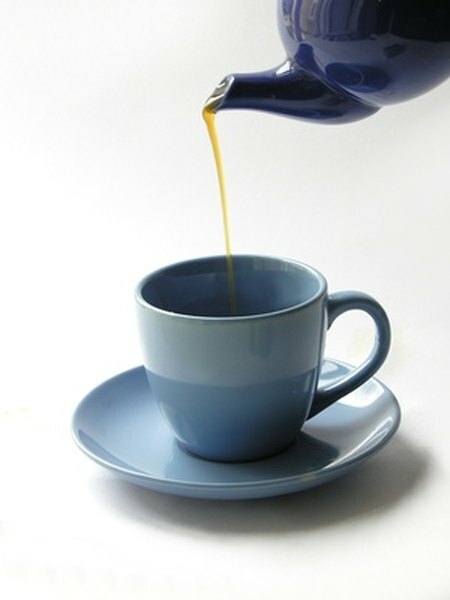 Some naturopaths recommend turmeric tea as a form of preventative medicine for people at risk for developing cancer. The U.S. National Institutes of Health report that turmeric may increase bile production and reduce symptoms of reflux, colon spasms, bloating, gas and indigestion. Turmeric may be a useful treatment for irritable bowel syndrome and reflux disease. Compounds in turmeric help to battle inflammation throughout the body. UMMC reports that turmeric may lengthen remission time for people with inflammatory bowel diseases like ulcerative colitis and Crohn's disease. Turmeric's anti-inflammatory properties also make it a useful treatment option for arthritis. Diabetic animals experience lower blood sugar levels when taking turmeric. Clinical trials have not yet evaluated turmeric's possible role as a treatment option for diabetes. However, integrative health care providers may recommend it as a complementary treatment option. According to UMMC, turmeric tea can reduce levels of low-density lipoprotein (LDL, or "bad") cholesterol. Additionally, compounds in turmeric can prevent cholesterol from building plaque on artery walls. Because of turmeric's mild antiplatelet activity, it may also theoretically prevent blood clots, a major risk factor for heart attack and stroke.